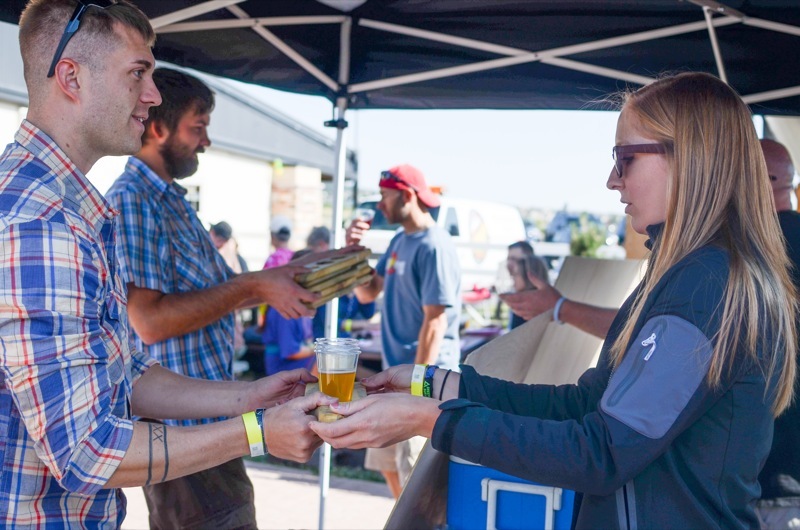 Colorado Springs’ second annual Beers Made By Walking wrapped up last weekend. It’s an event that we organize during the summer. 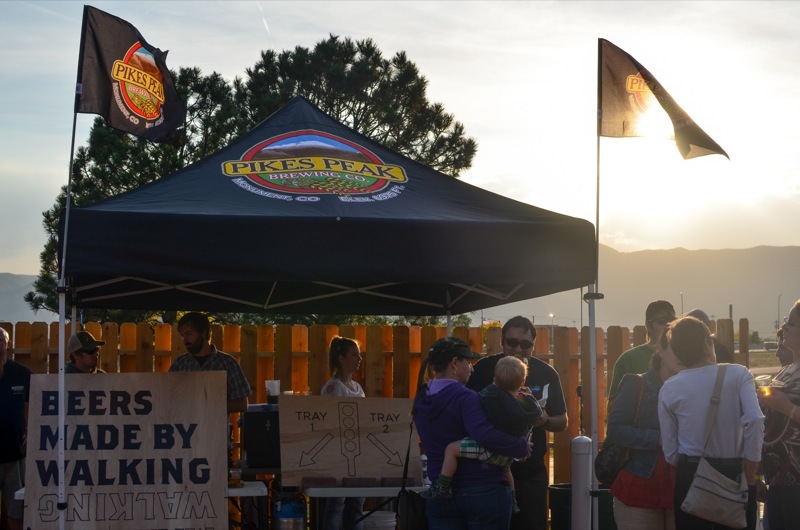 We invite brewers onto nature walks in the Pikes Peak Region and then we make beer inspired by the edible and medicinal plants we find on the trails. 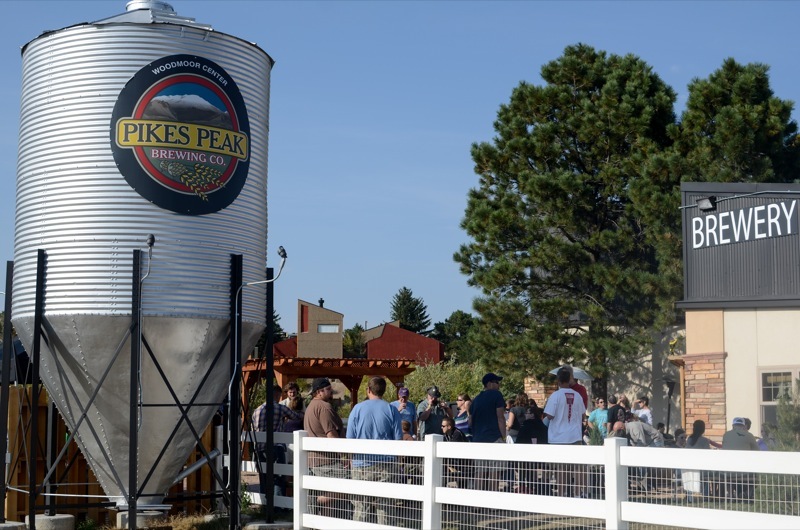 This year we commissioned eight beers, they were brewed at Pikes Peak Brewing and all the local beer and nature lovers came out and celebrated. 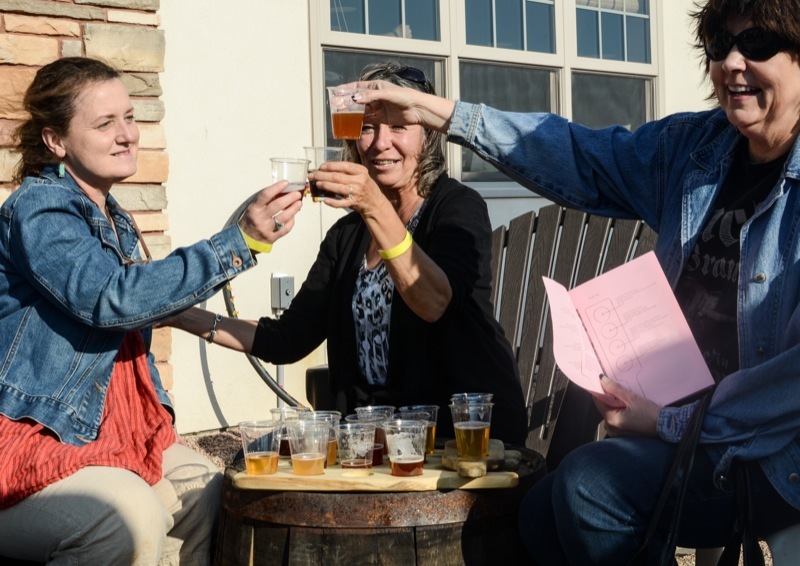 Upon arrival, visitors were treated to a twenty page catalog/menu that talked about our hike up to Palmer Lake Reservoir and it had bios of each brewer with information on the conceptual development and decision-making that went into each beer. 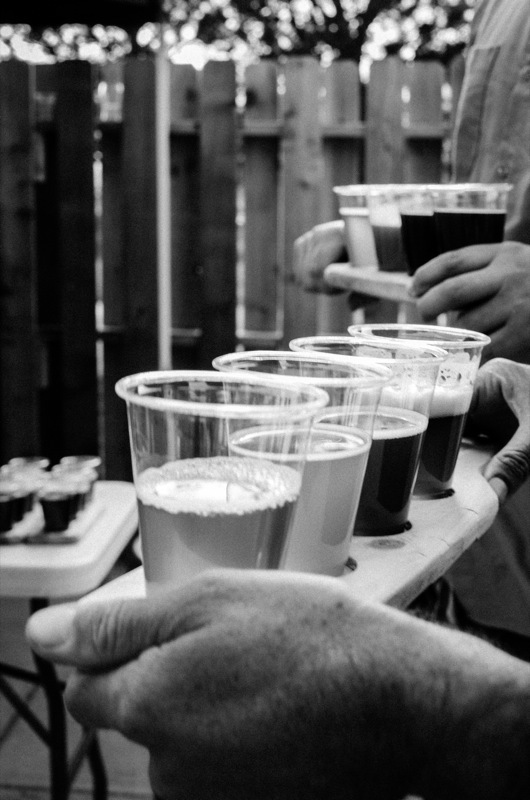 We served four beers at a time on hand-made serving trays that were made of local beetle-kill pine. The first four beers worked really nicely side by side. 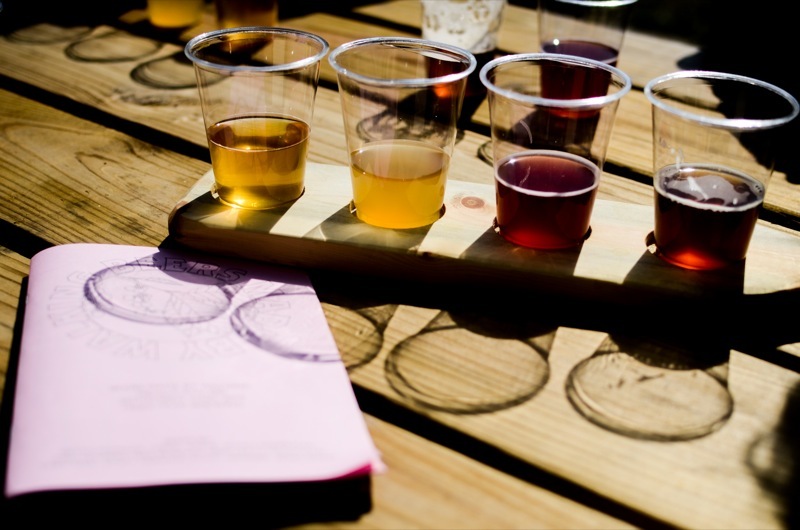 There was a sunflower honey ale by Lefty, a Gose beer with bee balm and sumac by Scott Werner, a kriek with chokecherries by Scott Simmons and a pale ale with maple and rye by Josh Adamski. 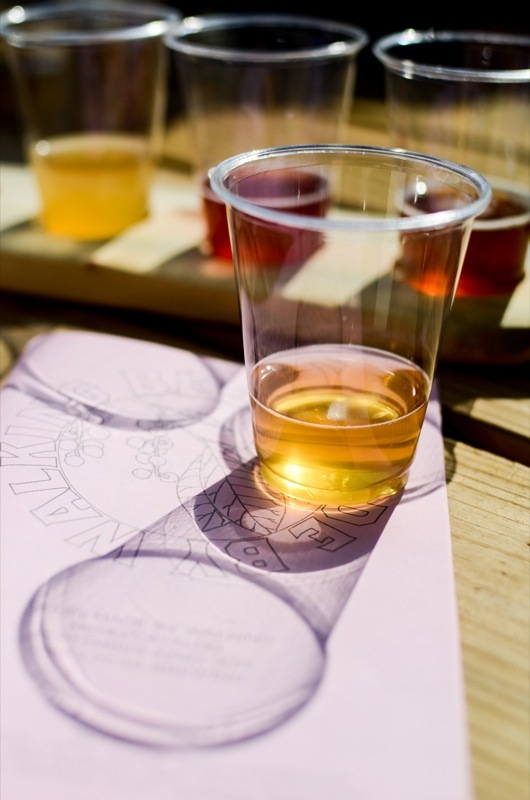 The second set of beers included a brown ale with maple and juniper by Mike Bordick, a porter with plum by Oren Weil and Bryan Paradisi, a Belgian pale ale with rose hips and wild hops by Zenia Brink and Carol White, and finally a rose hip and sumac saison by John Landreman. 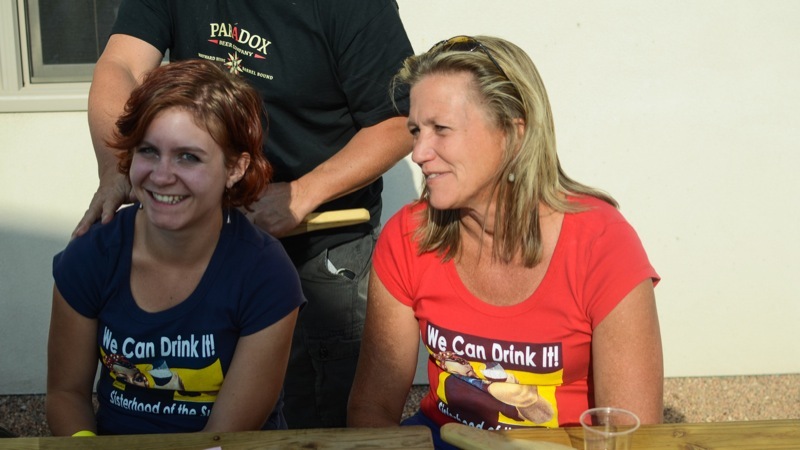 All the beers were good and a had a lovely drinkable quality them. 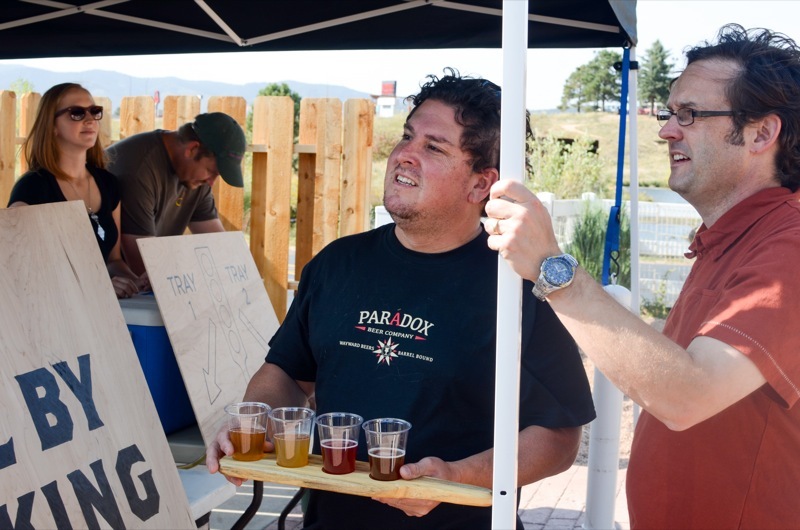 Jeff Aragon, the brewer for Paradox Beer Co, with Chris Wright, the brewer at Pikes Peak. 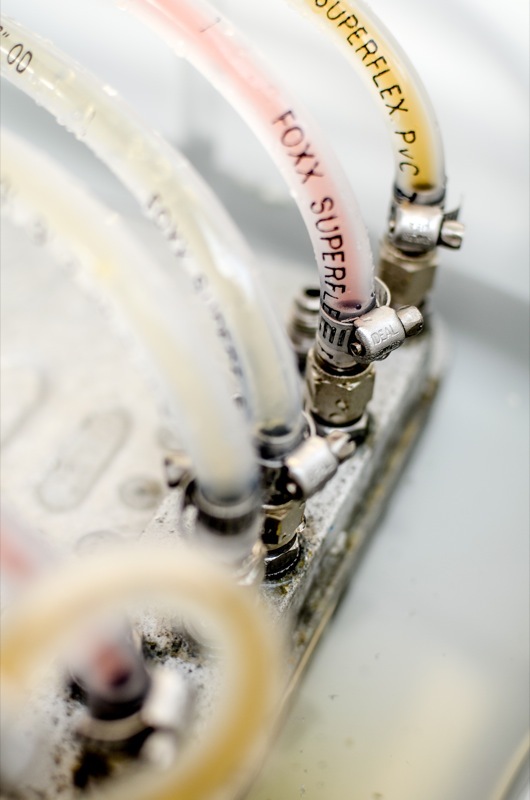 Paradox just released their beer to the public a day before this event. 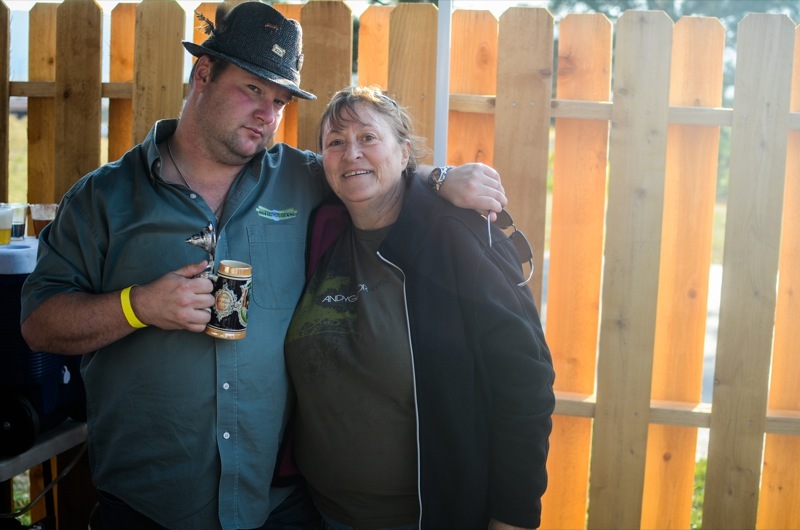 Zenia Brink and Carol White hanging out. They brewed the rose hip and wild hop Belgian Pale Ale. Jessica Erickson and Oren Weil. 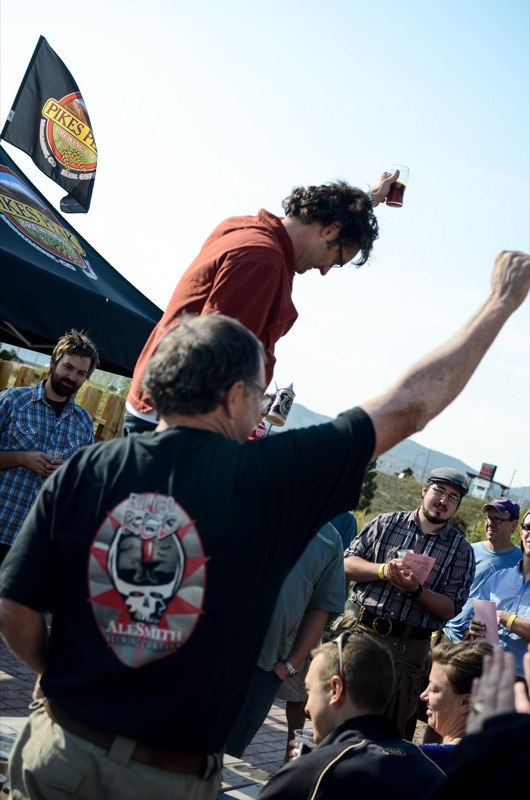 Oren brewed the Plum Porter, which also had been aged on brandied oak chips. 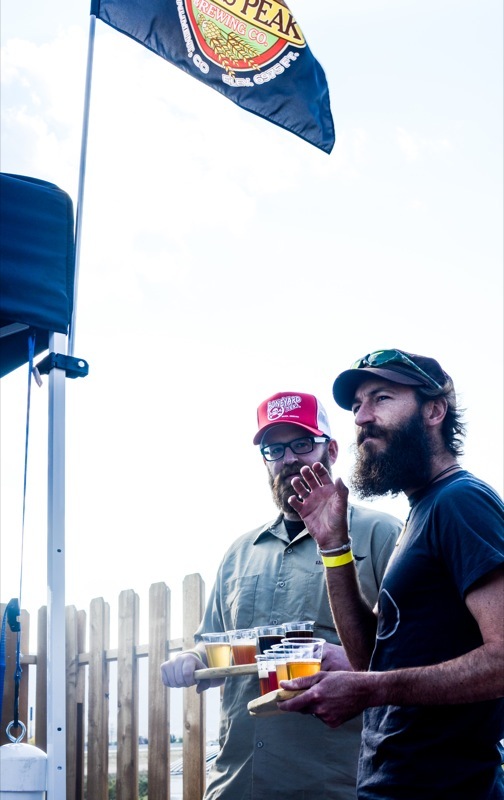 Scott Simmons and I built a jockey box for the event and served three beers out of it. 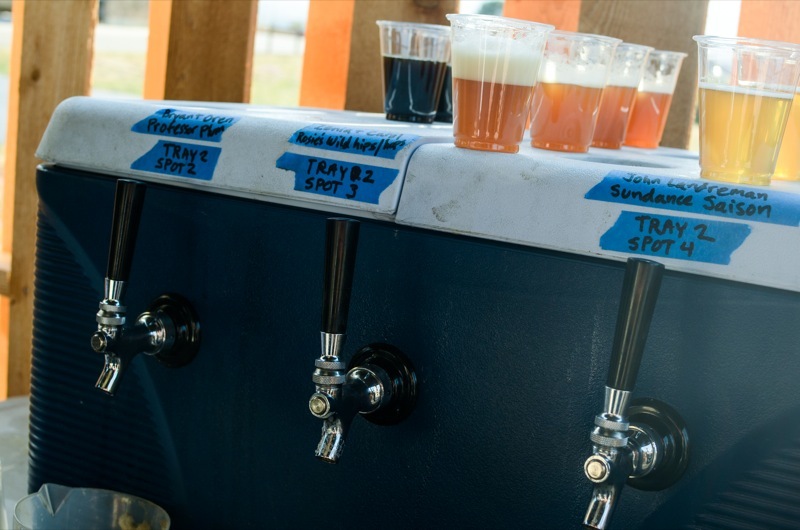 We admired our creation throughout the evening and we thought the draft lines carrying the beer were beautiful in their own right. 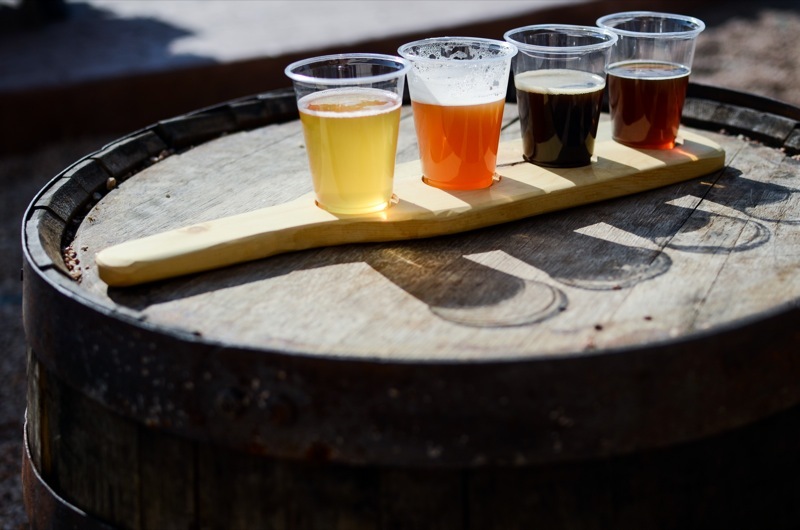 Here we see the lines carrying the maple rye, the chokecherry Kriek, and the Gose. A look at the catalog/menu. 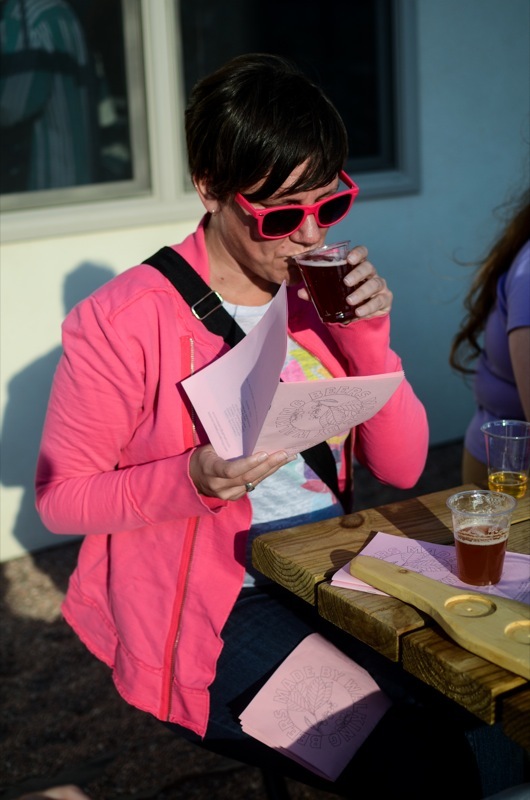 Each page was chalked full of text, drawings, and photos all about the beer, the brewers, and the hikes. 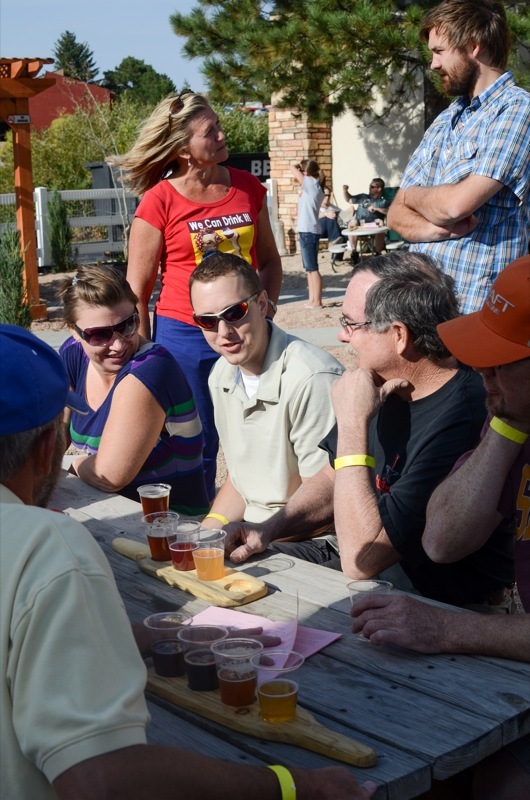 Many visitors sat down with the beers and read through the whole catalog. 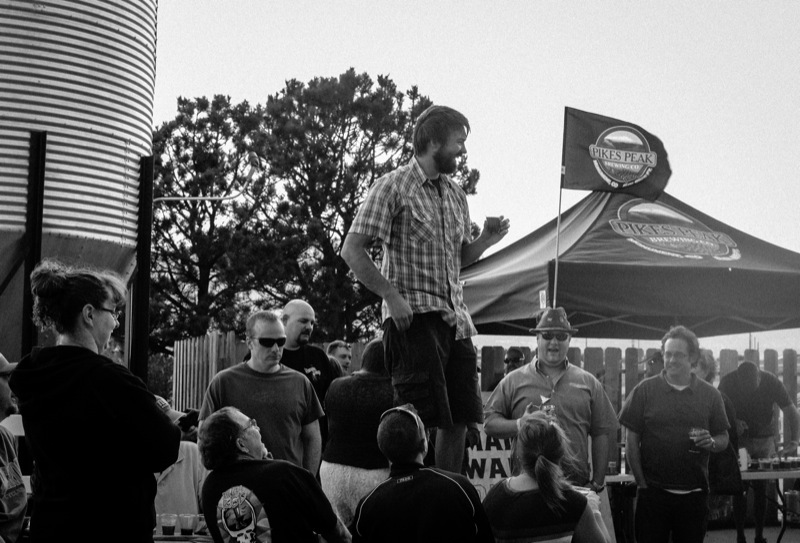 I got to stand on a table and thank the brewers for participating and Pikes Peak for making this possible. 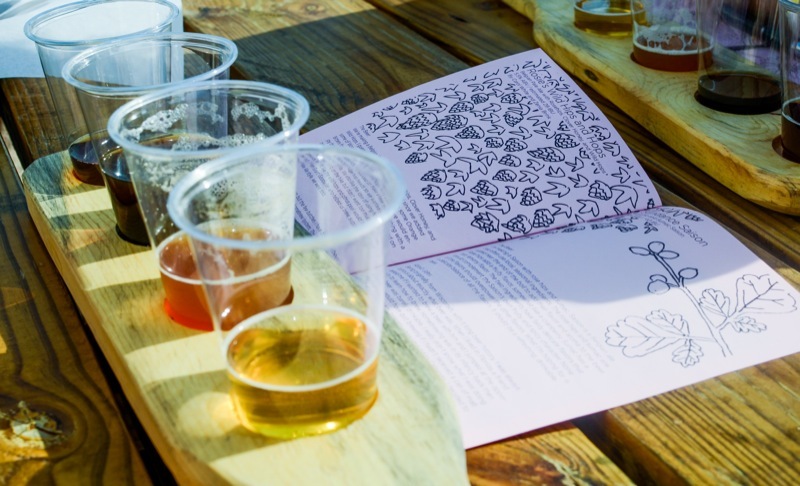 The event brought us all together to celebrate the landscape and the creative work and of our local brewers who re-interpreted the landscape via beer. 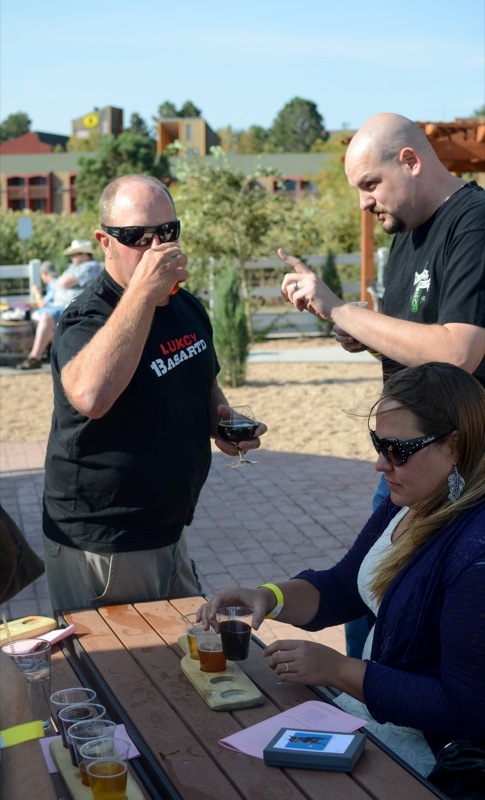 One of these beers was selected to be re-brewed on Pikes Peak Brewing’s larger system and it will be taken up to Wynkoop Brewing on October 9th for the Denver Beers Made By Walking tasting event. Chris selected Lefty’s beer, the sunflower seed honey ale. which he will brew up later this week. 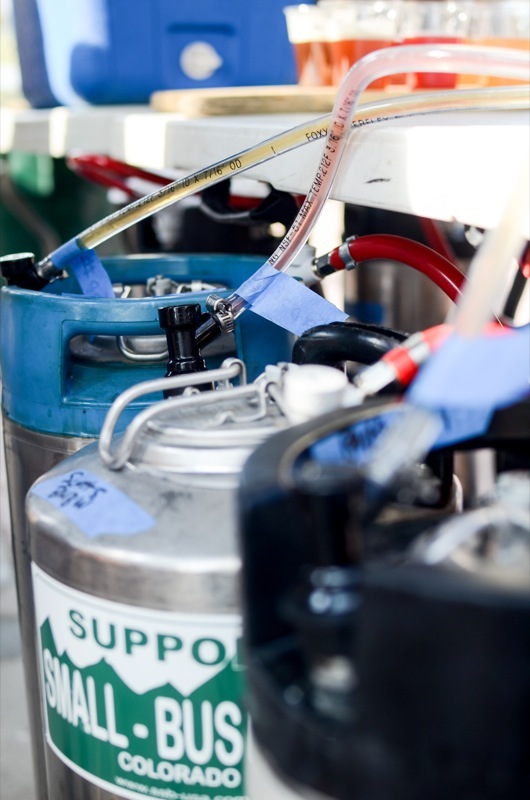 Additionally, Scott Simmons has re-brewed the chokecherry Kriek on a 10 gallon pilot-system for the Denver event so that Pikes Peak will have two beers. 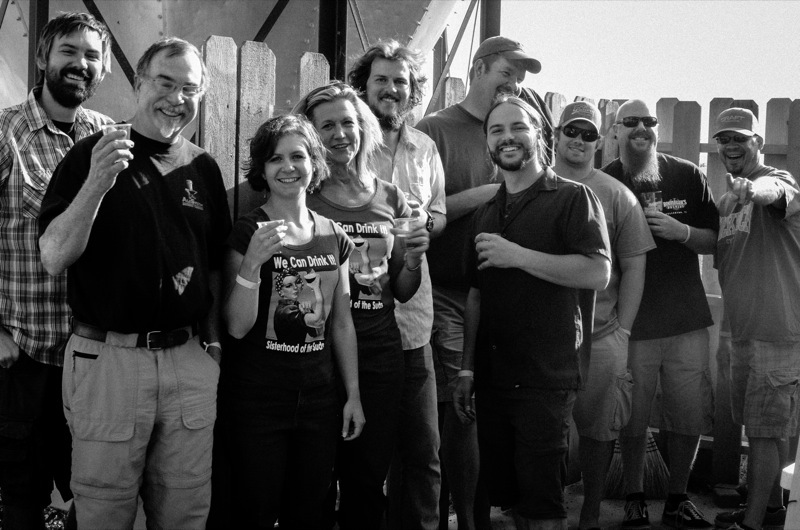 Here’s the group of brewers together. John Landreman and Bryan Paradisi weren’t able to join us but they were there in spirit. We all had a good time and look forward to doing this again the future. 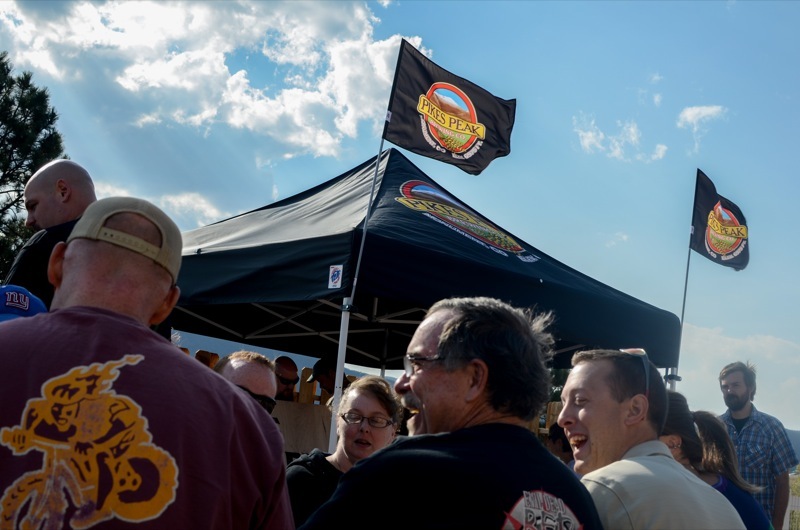 Again I’d like to say thank you to all the brewers and Pikes Peak Brewing for making this year in BMBW a memorable one. 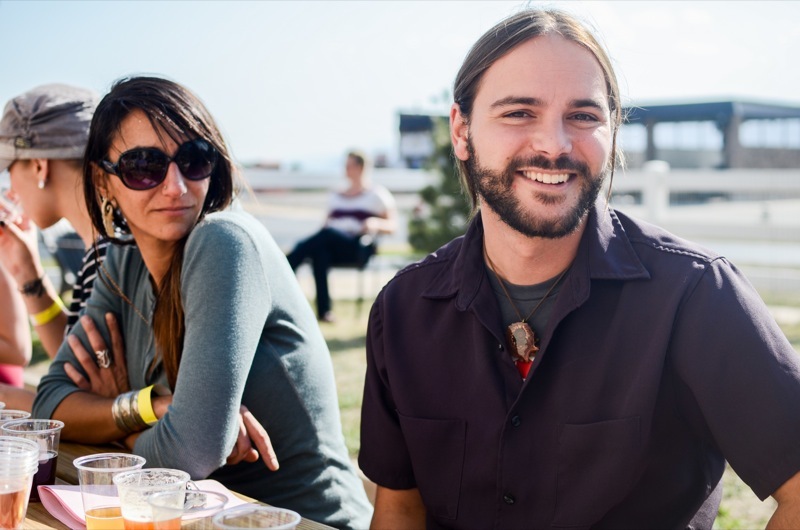 New Belgium Meet the Brewer and “From Grain to Glass” Presentation!